"Sculptris makes 3d sculpting efficient and fun. " I like sculptris because is makes 3d sculpting and designing so easy and user friendly. The layout of the software makes quick editing very easy. When i first started using this software it was very easy to learn how to use it. The website also offers so good free tutorials to help you get started. I also like the different hotkeys that you can turn on and off. The texture patterns also look very professional for a free software. I was very impressed with the amount of feature that it offers. The compatibility with zbrush is also nice. I do not like how rendering takes such a long time with sculptris. Other 3d design programs that I have used seem to not take as long of a time. I wish the software had more customization to it. The meshes that are added while you are creating a 3d object have way too many polygons. There are tools that you can use to help reduce the amount, but I wish you could editing many the software adds before you start creating an object. At times the software can lag when you are editing a large file. The program doesnt require a large processor, but this would help prevent some lag. I would recommend any person that is interested in 3d design to start with sculptris. It is very easy to learn. I use sculptris for 3d design and editing. It has helped me with my workflow process. "One of the easiest 3d modeling programs"
I like Sculptris because it is very easy to create 3d designs and add textures to them all in one program. The layout is very user friendly and it did not take me a long time to learn how to use the program. You can create 3d designs using many different templates that he program offers. This makes the design process faster and easier. I have noticed the the program can make you computers GPU run hard when you are working on a large format file. I have also noticed some small lag at times. Sculptris is very hard to use with just a standard mouse. You really need to add a design pen or special track pad to get all of the benefits that Sculptris offers. I with the program offere more tools for sculpting. The ones that come with the program work well, but tools that made different designs could help in the desgin process. Sculptris is really easy and simple to learn. I would recommend anyone that is new ot 3d computer sculpting to try it out. It is free and can help you learn the basis of 3d design. I use Sculptris for 3D modeling and design. I have benfitted from the easy and functionality of the program. What 3D Modeling solution do you use? "Sculptris is great for 3d design. " I like how easy and basic Sculptris is to use for sculpting. It is very easy to create shapes and add textures. It has a wide variety of starting shapes, so you do not have to start from scratch. The GUI is also easy to learn. I do not like how hard it is to use Sculptris for basic drafting. It is also lacking in certain editing features that can be found in other sculpting software. Also, at times rendering can be slow. Overall, the software is not very customizable. I would recommend Sculptris to anyone that is looking for a basic software to start sculpting with. I use Sculptris for basic 3D design and sculpting. "Sculpting at the best possible price"
Sculptris is a great solution for getting into 3d sculpting art. It was developed by a professor before he was hired on to Pixologic and the software becoming part of the company. It remains free to use and is still a very usable and powerful sculpting solution capable of excellent results. I have known it to be used by commercial artists as a means of fast development without the heavier resource overhead of the expensive mainstream software. There are features that will probably never be implemented such as dynamic resolution as can be found in its big brother software ZBrush. That doesn't diminish its capability but it does introduce a lower polygon limit that the aforementioned. However, it still is capable of very high polygon counts because of its very small system footprint. In all the software provides a capable and fun solution to learning or developing assets with sculpting tools. Scuptris is a free and easy to use software for introducing yourself to digital sculpting. It is not a product that is being actively developed. It is free and openly available from Pixologic but is meant to be a transtional tool for getting people interested enough to want to buy ZBrush. Sculptris provides an easy to use solution for sculpting. Its interface is simple, easy to use and provides a fast, navigable viewport system. And because it is free you can begin to design and create without shelling out the very high dollar amounts required by the current commercial solutions. I have been using sculptirs since it came out. I was looking for a free alternative to ZBrush and found it through a google search. Which is ironic, because it was developed by Pixologic the same company that created ZBrush. Although Sculptris isn't quite at the level of ZBrush, it is still a very powerful sculpting tool. Sculptris supports importing OBJ files or you can start from scratch. The controls are similar to most of the other industry standard 3D tools, so there isn't much of a learning curve. The mesh it generates is comprised of all triangles, so the user doesn't have to worry about non-plainer polygons. There are a ton of sculpting brushes, and it is even possible to load custom alphas. There are multiple ways to access the tools quickly with keyboard shortcuts and mouse clicks and if you forget one, most are visible on screen. There are even handy help tips in the bottom of the screen. For more control, there is an option menu which is easy to navigate and easy to understand. This is a great tool for creating concept sculpts in. There are ways to optimize the mesh by selectively reducing the polygon count in areas of the mesh that don't need to be so dense. It can also handle very high poly counts and still run smoothly. Sculptirs isn't just a sculpting tool, it also has tools in it for painting directly on the mesh and generating textures. It is also possible to sculpt with a stylus. Another nice trait of Sculptris is the ability to export STL files. It is possible to generate a sculpt, export an STL, and then send it directly to a 3D printer for printing without going into another app for clean up. Sculptris doesn't have too many things about it to dislike, but there are a few minor things that could make it a much better tool. The first thing that kind of limits it is: it is very difficult to to create holes through a sculpt. It would be nice if there was a tool to punch a hole through the mesh. Other areas that it could use some improvement is in the hard surface modeling tools. It is almost effortless to create organic models, but it takes a lot more effort to generate a nice hard surface model. It is possible, just not as easy as it could be. If you are looking to get into digital sculpting and want to get familiar with it before purchasing an expensive alternative, I would recommend using this tool first. It might even be exactly the tool you're looking for. If you can sculpt in sculptris then you'll be able to sculpt in pro tools too. It was even designed to work with ZBrush, so it is possible to send a sculpt directly from within Sculptris to ZBrush. It's also free, so you really don't have much to lose by trying it out. I primarily use sculptris for generating concept sculpts of characters that I design. I use the sculpts in my animation work, and have started using it in game development projects. The objects created in Sculptris are good for generating normal maps to be used on the low res models. I also use it with my 3D printer. The models created in Sculptris typically don't have manafold issues and so are great for 3D printing. Not only is the software free, but once you learn how to use the custom settings and advanced features, you are able to create some incredible designs. With it being free, it does lack some features that its big brother (Zbrush) is capable of. Lack of file formats and the amount of tools that comes with the paid version means you are limited to what you can do. If you are wanting to find a simple and cheap (free) sculpting, painting & texturing software than I would take a look at Sculptric. I am able to create quick and simple designs. "The best FREE sculpting tool"
Sculptris is one of the most used sculpting software, is really easy to use, the brushes are really great and the dynamic tessellation is amazing, is a great tool to start sculpting or if your budget is low. The UI is pretty easy to learn, and you have symmetry and you can use the alphas from zbrush central download section. This software is key to have a complete suite of 3D if you already have Maya, 3dsmax, Blender, etc. this is an amazing free tool for the sculpting process. In the website you can find a few introduction videos as well. the function of GoZ is limited, you need to install zbrush to enable. I used sculptris just for testing, i already have a Zbrush license but the software is similar. Sculptris is a great way to start sculpting in 3D and understand how works. "The easiest way to start sculpting"
Simple enough for anybody to use. Have nice tesselation features, way before the almithy Dynamesh. A free software that you can use to learn anatomy...sculpting skills, etc. Too simple, not enough features to work with. Not very stable, crashes too much. Odd symetry tool, you cant turn off anytime you want without losing some work. If you just want to have fun sculpting and don´t want to take your time learning zbrush, this is a good deal. If you really want to work with sculpting but cannont afford zbrush, you should try blender instead of this, it´s also free and have much much more freatures. sketch simple designs to help shape an idea. tools good enough to design interesting shapes. Use it when you need to make just some minor details on a project but you don´t have the budget to buy a "professional" tool like zbrush or mudbox. "A stripped down version of zbrush that does the basics really well." The default mesh - a sphere with high sub division levels with topology that comes tessellated. High level of details and massive volumes can be sculpted on a model effortlessly without bogging down much of your PC's resources. In comparison to zbrush, the tools available are pretty basic but, this is all one may need to sculpt. Evidently, the tool set available work relatively the same way in comparison to zbrush. Painting details from textures you choose to use. Scales, human skin e.t.c are obtainable at considerably good quality using this technique. Exporting depth maps and other maps from models are good resources for composting images in Photoshop. Sculptris does not have the features to handle multiple objects in one scene. Creating distinct shapes from the base mesh is a tedious exercise. There's however the option of creating additional spheres. The entire modeling process; sculpting to painting feels restrictive in the sense that when texturing/painting a model, you can't go back to sculpting the mesh. Limited file format available for either exporting or importing models. Just the obj and Goz file formats exist. A totally free software with a seemingly an easy learning curve. This is ideal for beginners to get started off with 3D sculpting. For the more experienced user of other robust 3D application, Sculptris could serve as a tool for quick development of model concepts in the production pipeline. A non complex process of getting art 'pre - visualize' in the early phases of developing an idea. "Easiest way to get started with digital sculpture"
The best thing about Sculptris is how easy it is to get started making things. It requires almost no technical or computer skill whatsoever. it's possible to export sculptures to any other 3D program. You can even paint texture maps right onto the 3D model. The only drawback is the flipside of its advantage. It's so easy that it doesn't go into more advanced features. Sometimes the interface gets in the way a little bit but that's a very small complaint. It's free and easy so I highly recommend trying it out. One downside is that development seems to be frozen and there will not be any upgrades or new releases. It would be best to have a wacom tablet when using Sculptris. It's also good for getting used to digital sculpture in general. Sometimes people have a hard time with 3D software because of how it visualizes 3D shapes on a flat screen. However, sculptris is so simple that it's a good way to get used to it so that when you switch to another software, you're already a little acclimated to 3D. It allows you to practice the artistic side of sculpting without having to stop every minute to figure out anything technical like you have to do with so many other 3D programs. It's a great way to get visual ideas out. The results can even be sent to a 3D printer without any additional work. "scuptris performance and relevance review"
I like that it is a good introduction to high resolution 3D sculpting software that isn't too complex and is easily accessible to students and professionals. I wish thee were more options for sculpting other than the generic sphere so that beginners can practice making full bodies or bigger sculpture examples. I also wish it had a better processor for detail so that it won't glitch after a certain level of detail has been added (though to be fair it is more of a beginner program and not something like ZBrush or Mudbox, so this is to be expected). This is a good beginner's software to prepare you for more advanced 3D sculpting programs like ZBrush and Mudbox. But it can yield professional level results with practice. I like having it so that I can create models for both 2D and 3D reference rhat I can turn and mold and need be. I like the practice it allows and that it's relatively way to pick up on how to use it so hat I can actually create decent, usable character busts and models. "Great For Limited Sculpting and Texturing! " Super easy interface with simple import/export options. Ability to texture quickly both in program and with a digital art program is super helpful. I used Sculptris in combination with Unity for a while and it helped the gamemaking pipeline a ton! When I was using it heavily, I primarily received models from my modeler and would do my texturing both in Photoshop and Sculptris. Sculptris helped GREATLY by me importing the model, painting quick colors onto it, then pulling that out to PS to add more textures, paint and wrap it up. Pulling it back into Sculptris is a breeze, too. The interface isn't quite as crisp and beautiful as I'd like it to be, but it does the trick! Program can be a little buggy and crash on occasion. I'd recommend saving frequently as the program can crash pretty regularly. Also, try exporting and texturing in Photoshop/Clip Studio Paint - much greater toolsets outside of what Sculptris offers. This is a great software to use for texturing quickly. Export options are very easy to use, which helps speed up the pipeline. "Great tool! Perfect for getting your feet wet. " I love that it's a free, cross-platform digital sculpting tool, capable pro quality work. Quickly launches, and it's lightweight so you can quickly sketch out ideas - and because its hassle free, you can get your ideas out quickly, and send it straight to Zbrush when you're ready. Their unique dynamic tessellation does most of the work for you, adding detail only where you need it. You can load in custom base meshes, export OBJs, use custom alpha brushes and more - it's a Vegan Zbrush. Though very limited in features, its still useful in my production pipeline, without having to make the large investment in Zbrush. There's still a large gap between features in Sculptris and Zbrush. It can be unstable working with higher resolution meshes: expect crashes with little warning. Lack of an auto-save/incremental save. Holes are difficult; the software doesn't seem to have a built in way to cut a hole in a mesh. I wish there was a middle ground between Sculptris and Zbrush - a paid option that has a few more features including UV mapping & re-topology tools, map baking, perhaps primitive versions of Ztools, Zspheres, or at least a more intuitive way to work with multiple objects in the same scene. That said, it's hard to critique a free software as useful as this one. It's a great start to solid tool. If you want to use it professionally, you'll need a 3rd party software to re-topologize, and bake maps from your high resolution meshes - I recommend Topogun, because it's full-featured, well supported, works on Mac & PC, and it's only $100 for a single license! I'm able to meet the infrequent needs of my clients without a costly investment upfront. I've realized it saves me a few steps, and hours of work in some projects. It's also a great taste test for their full featured products - I'm more comfortable purchasing Zbrush, when the need arises now, than before Sculptris. "The fastest way to get the highest quality textures for your 3D models"
ZBrush give me the opportunity to have a really high resolution 3D models when I need complex shapes in objects. I use it to easily create high resolution texture normal maps to be exported in other programs for rendering with a lower polygonal resolution 3D models. On the Mac version the memory management it’s not one of the best: sometimes and sometimes, the more that I use it the more the software gets slower. The memory management should be fixed. Sculptris made huge improvement for Zbrush along the years that now ensure professional results within small amount of time and a very simple user interface. The texture’s details level that you can reach with Zbrush (2.5-3 million of polygons) it’s unachievable with other software exept using longer timing or more complex ways. At the end it’s really like painting! And it has a very great price! "My thoughts after using Sculptris"
Sculptris has easy to use interface. I like that the tools are shown on the main screen and they can be accessed easily. If I forgot what is the shortcut key to the specific tool, I can quickly check which one is the correct tool. What else. Well, Sculptris just work and is really stable. I haven't experienced any crashes so far (fingers crossed). After rotating the model a lot, it can be a challenge to see which direction the model is currently facing to. Maybe an arrow (or similar) pointing to the fixed direction would help? Just try it. Then you know do you like it or not. I use Sculptris to make a rough model from the concept. In Photoshop I refine the concept and add more details. Sculptris is really good for quick experiments and trying out different shapes and forms. "Sculptris: Free & Easy Organic Modeling"
Sculptris allows for easy organic sculpting, as well as the ability to export as .STL or .OBJ for 3D printing or further editing in other programs. The symmetry feature makes modeling bodies and faces very easily. It is hard to model flat surfaces and sharp/crisp edges. Once you turn symmetry off, you can't turn it back on. There are some great applications for Sculptris in the animation/illustration field, it is a fast and easy way to observe lighting/shading for complex organic shapes, such as human figures and clothing. Sculptris is a perfect way to learn the fundamentals of using a 3d sculpting application like z-brush. Best of all it's totally free. You can use it to create professional quality 3d assets and it's so easy to learn. the user interface is very intuitive. The 3d painting application just doesn't compare to something like Substance Painter. But hey what do you want, it's bonus content on great software that's already free to use! I use it to create additional 3d assets which I incorporate in to 3d drawings. It gives you the basics you need to learn before getting into Zbrush and it is free. While Sculptris is meant to be a simple and beginner friendly, it can be a little too bare bones and it really isn't easy to use within a pipeline. It can be difficult with importing and exporting cleanly and can't handle heavy poly loads. Its free, go ahead and try it. Sculptris solves the problem of needing to pay for Zbrush and gives beginners a way to learn without being overwhelmed by a complex application. 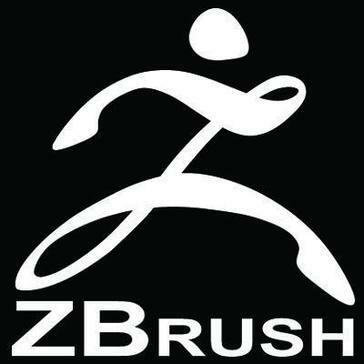 "Sculptris is a great introductory software for understanding how the fundamentals of Z-brush works." I like the fact that it is free, quick and easy to get going inside of the software. I don't like that sculpting is incredibly difficult to understand as a concept, after transferring from a typical CAD / CAM software background. Sculptris is a tool that will take some time to understand and appreciate fully, but once you do it will become a powerful tool. Molding for new toy sculpts in a previous job environment. * We monitor all Sculptris reviews to prevent fraudulent reviews and keep review quality high. We do not post reviews by company employees or direct competitors. Validated reviews require the user to submit a screenshot of the product containing their user ID, in order to verify a user is an actual user of the product. Hi there! Are you looking to implement a solution like Sculptris?